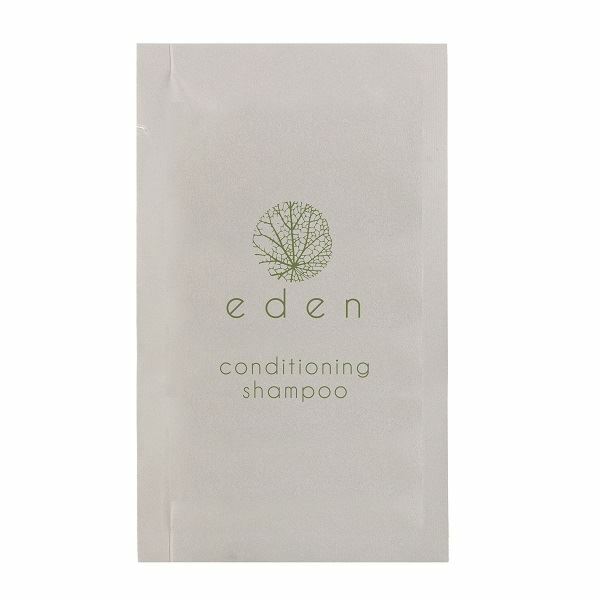 Co-ordinating with the 10ml body wash sachet, this Eden conditioning shampoo sachet ensures minimal waste when offering your guests individual complimentary toiletries. The shampoo is enriched with cornflower and passiflora extracts renowned for their restorative and nourishing properties. Hair will be left soft and beautifully scented, while the vegan friendly formula is free from parabens, EDTA, BHT, phenoxyethanol and synthetic colourants.